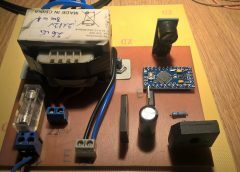 In this post i’ve made a H bridge controlled by an arduino, for creating a sine wave signal with higher current and voltage than arduino can provide. In this post, the method and the software program used to controll the bridge can be found. 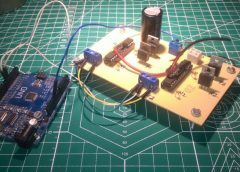 The signals come from arduino to four mosfets through four drivers. 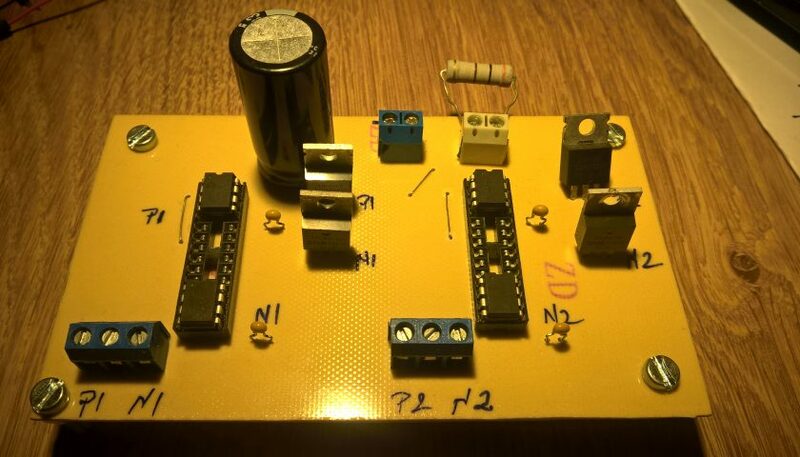 These four mosfets are 2 n channel and 2 p channel and the drivers are TC4421AV and TC4422AV. 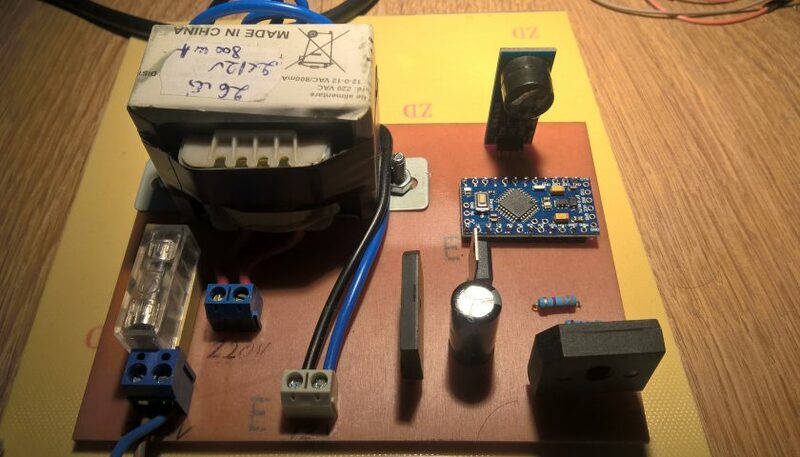 To understand better most of this post please read the datasheet of the drives. 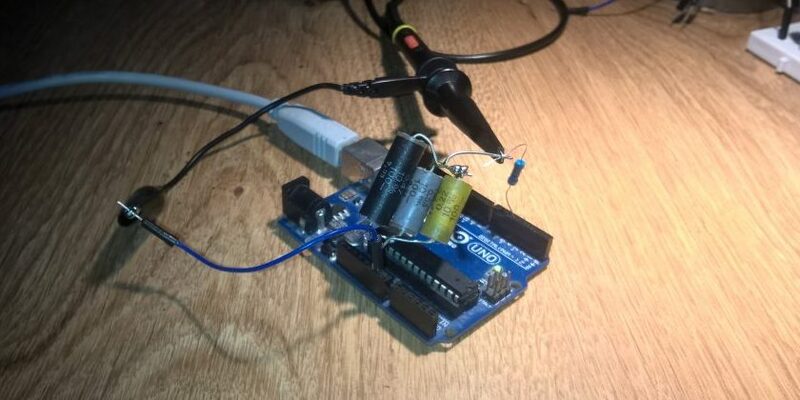 Basically they take the signals from arduino (TC4421 invert it) amplifies them and controls the transistors. Now, let’s talk about this diagram. 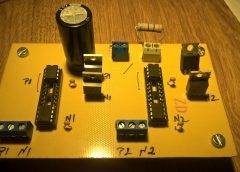 As i said before i’ve used 4 mosfets 2 p channel and 2 n channel. At one moment two of these mosfets are enabled that’s why an input from arduino is connected at two drivers (A-A and B-B), each for a type of mosfet. 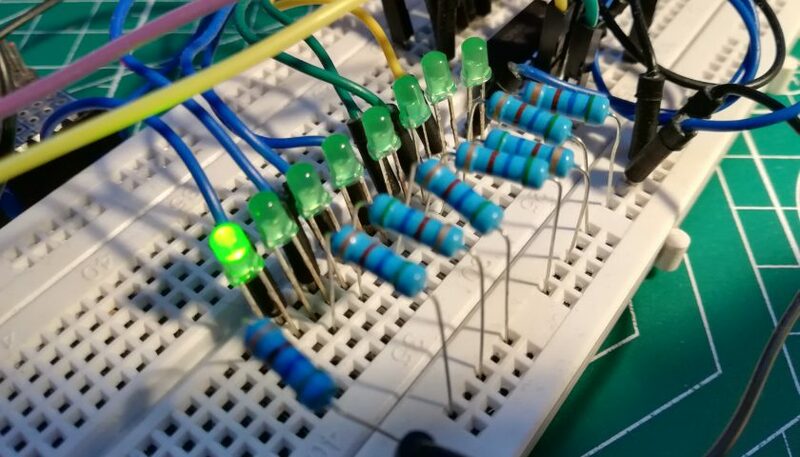 When a high pulse from arduino (5 volts or 1 logic) enters into the drivers, the driver takes the signal and controls the transistors. 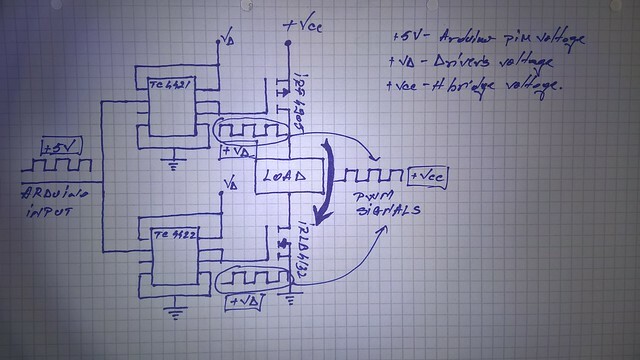 P channel mosfets are driven from TC 4421 because, to enable those transistors, their gate must be connect to the ground and for blocking them, their gate must be at higher voltage; so when TC4421 receives a higher input it makes his output low and when it receives a low input it makes his output high. 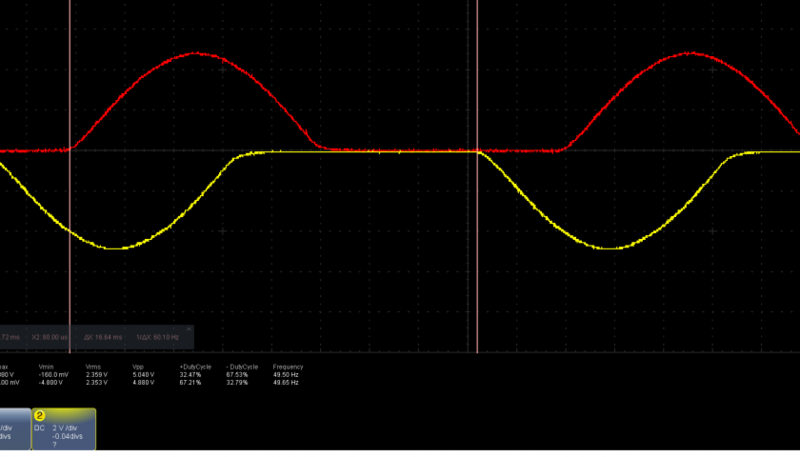 A problem with this is that if you want a higher Vcc value you need another power supply for VD drivers (max. 18 volts). 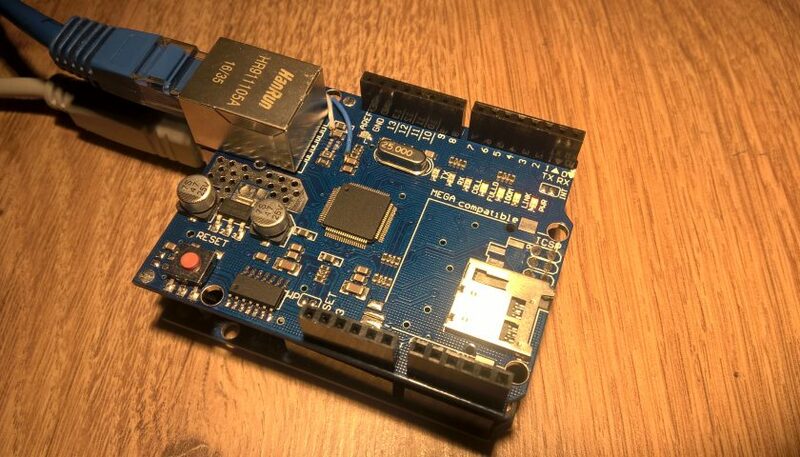 An important thing to remember is that for arduino and other power supply, they must have common GND, otherwise things won’t work. 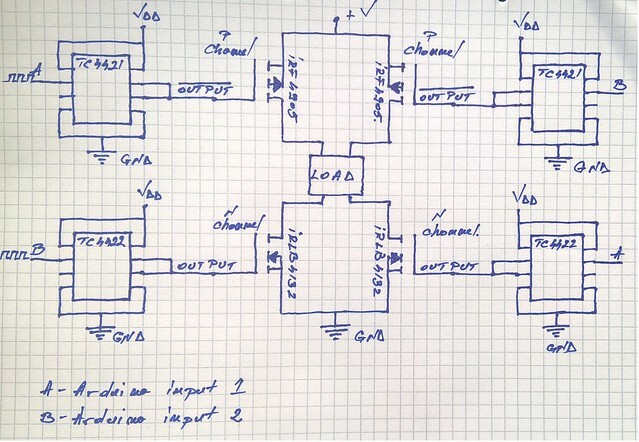 With this design on the output of the h bridge, the signal is almost the same with the input signal unfiltered. Apart from the above diagram, there are some small ceramic capacitors (for drivers-see datasheet), an electrolitic capacitor for VDD – because is common with VCC (12Volts for both drivers and H bridge) and a 300o hms resistor as a load. Again, the signal at this stage would be unfiltered (i hope to make a filter in order to smooth these signals but it’s a tricky job). Another thing you need to know is that i used a dc power supply and not a battery (12 volts 3 amps). 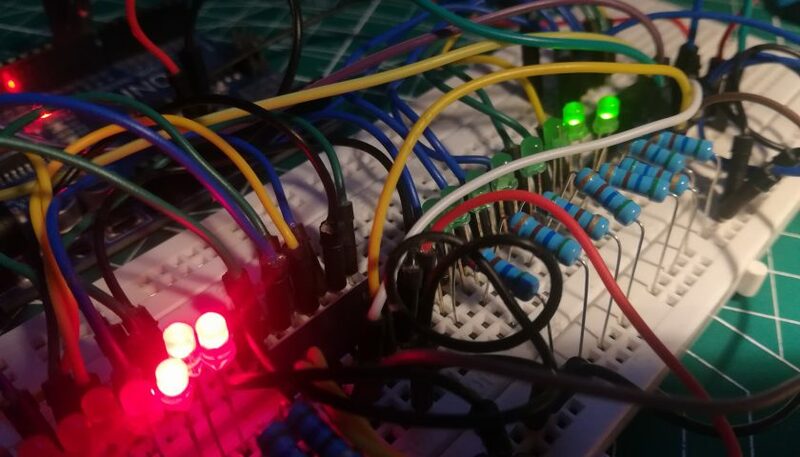 Without load, the signal is square wave – i must admit that i don’t know why (but i assume that), from a capacitance of the pcb the voltage won’t drop to zero in pwm. 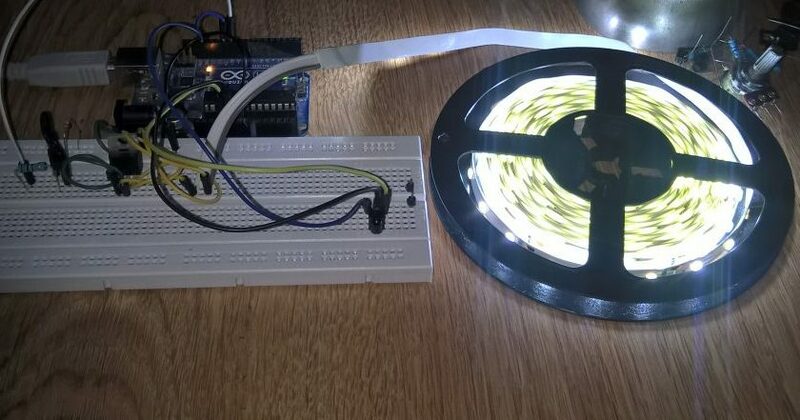 As you can see, this signal have aproximately the same form as the signal from arduino pin, but the voltages are different – from 5 volts on arduino to 14 volts at the output of h bridge. You may observe a little difference between Vmax on the positive half duty cycle and on the negative half duty cycle. I must say that even when my oscilloscope is not measuring anything, it has around 200-400 mV difference so i think the difference it’s from the oscilloscope . I like your post and it is very useful. I have a problem with this article. I couldn’t find IRLB4132 mosfet in proteus library. Is there any similar n-channel mosfet that I can replace it??? How do you choose mosfet for h bridge?? ?